De Blasio holds news conference following deadly police shooting in the Bronx: "The city is in mourning and the NYPD is in mourning." "The city is in mourning" over the loss of NYPD Sgt. Paul Tuozzolo, a 19-year veteran. 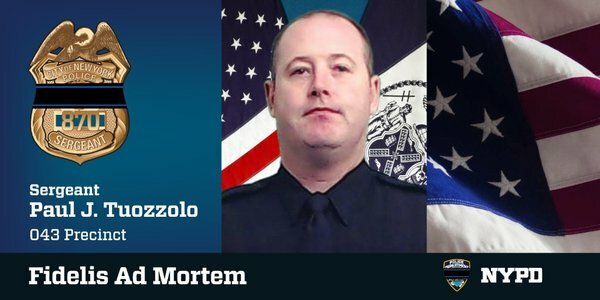 Our thoughts & prayers are with the family and friends of NYPD Sgt. who was shot & killed in the Line Of Duty. Speedy recovery for 2nd Sgt. 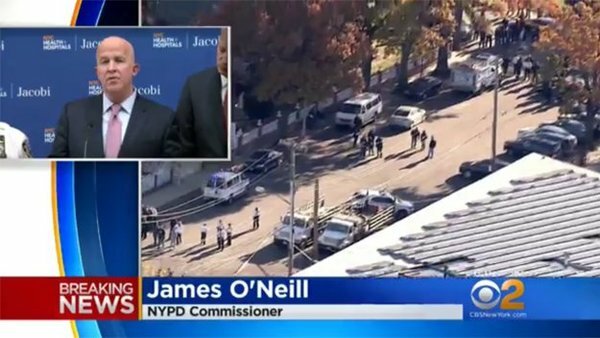 At 2:53pm the suspects car was observed by a marked NYPD vehicle at Noble Court/Bronx River Ave.
Mayor de Blasio releases identity of NYPD sergeant killed in Bronx shooting. 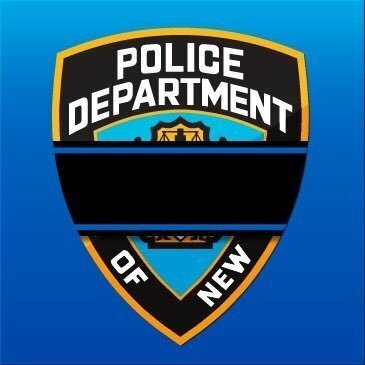 Please keep @NYPD43Pct and NYPD in your thoughts and prayers. 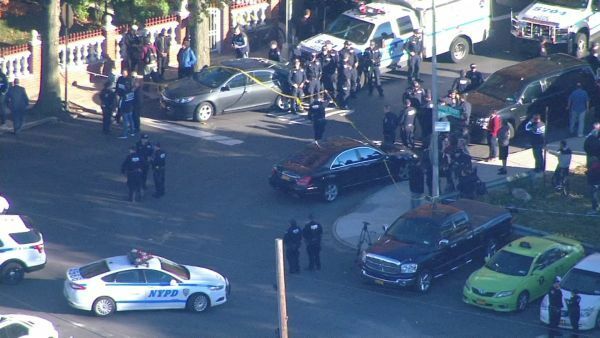 NYPD officers conduct a line search where two officers were shot -- one fatally -- in the Bronx this afternoon. The suspect, 35 y/o Manuel Rosales, was shot and killed. Had 17 prior arrests and had broken into the home of his estranged wife today. Police ID suspect in fatal police shooting as 35-year old Manuel Rosales. Officers returned fire, killing suspect.